Reach Robotics, the creators of the world’s first AR gaming robot, is inviting talented UK young engineers to compete for the chance to represent the Bristol start-up in the international RoboCup Rescue challenge in 2019. The winners will become the official Reach Robotics team and be sent on an all-expenses paid trip to the RoboCup at the German Open in May 2019 (see terms and conditions on Reach Robotics’ website). If successful, they will then have the opportunity to compete at the RoboCup 2019 finals in Sydney, Australia in July. The RoboCup was founded in 1996 as a robotic soccer tournament with the ambitious aim to have a team of fully autonomous humanoid robot players beat the winner of the most recent World Cup by the mid-21st century. Since then, it has expanded to include one of the most challenging robotics obstacle tournaments in the world. For the Mekacup, to be hosted by Reach in March 2019, each team will be supplied with two MekaMon Berserker robots along with add-on control modules based on the Raspberry pi zero-W and accompanying software designed to interface the robot using ROS (Robot Operating System). Contestants are then free to modify the robots provided: add sensors, cameras, create new feet, or even remove parts entirely to suit their strategy. The aim of the Mekacup is for each team to program their robots to navigate re-created disaster scenarios, negotiating paths through obstacles and uneven terrain. Mekacup will mimic the official RoboCup Rescue guidelines as closely as possible to find the Reach Robotic team. 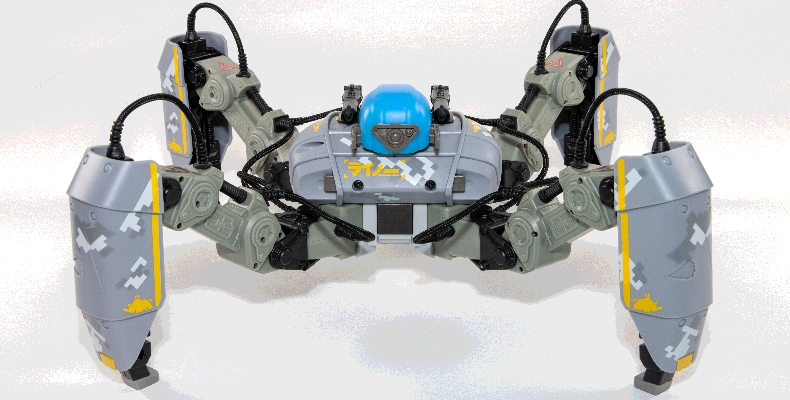 All teams that attend the Mekacup with receive an additional MekaMon for use within their school or department. Dr Matthew Ewart Studley Associate Head (Research and Scholarship), Department of Engineering, Design and Mathematics at UWE, Bristol, said: “Robot competitions are very important. They spur development, inspire teams, allow us to compare different approaches and technologies, and show the public what we can do. “I’m very happy to support Reach Robotics’ Mekacup which provides UK teams an opportunity to show off their skills – and for the winners, a chance to test their skills in Australia against some of the best in the world. Students at FE colleges and of undergraduate or postgraduate level with an interest and aptitude for robotics are encouraged to apply. Teams should be made up of 2-5 students (aged 16+), plus a teacher or course leader. The ideal team will be formed of students currently studying technical (or related) subjects in University or college, such as computer science, electronic engineering, mechanical engineering or mathematics. Above all, they should be passionate, creative and have an aptitude for problem solving. Students wishing to take part and compete in Mekacup and RoboCup 2019 need to register their team and team members before 31th December. Each team should include a video introducing individual team members and displaying their latest creations. Successful applicants will be informed by 3rd January at the latest. See MekaMon in action here.